Being Retro: Facebook Friday or You can be a BIG PIG! 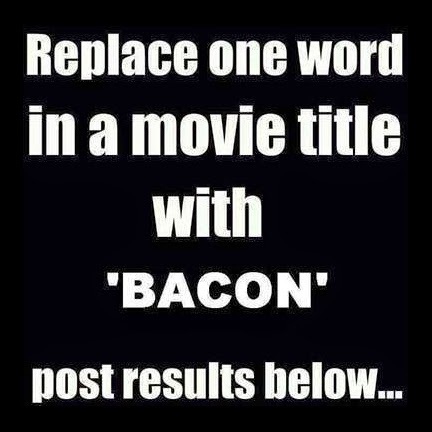 I could think of so many, but this is my choice... "A Fish Called Wanda" is now "A BACON Called Wanda"
Yeah, could have fun with this. Now, go replace the word 'love' with 'slug' in every song you've ever heard!